We Gilflurts all love a singsong and I have been to take the occasional singing lesson to brush up my skills, not that I will be commanding any of the world's stages anytime soon! Today's guest was a celebrated singing tutor and composer who travelled Europe and went head to head with Handel. Born to a bookseller, Porpora's father arranged for his son to attend musical tuition and as a young man he attended the Conservatorio dei Poveri di Gesu Cristo in Naples, where he shone as a dedicated and successful student and later became a student teacher. He was only 21 when his first opera, L'Agrippina, was performed at the Neapolitan court to great acclaim. This was the start of an illustrious operatic career, with works performed in the most illustrious courts in Europe where he also served as a tutor and composer or opera and religious pieces. However, Porpora's first love and greatest skill was for teaching and his most famed pupil was the acclaimed castrato, Farinelli, His reputation as a tutor was known throughout Europe and the most celebrated singers on the continent flocked to his rooms at the Conservatorio di Sant'Onofrio and he continued writing at the same time, with his pupils often performing in his operas. 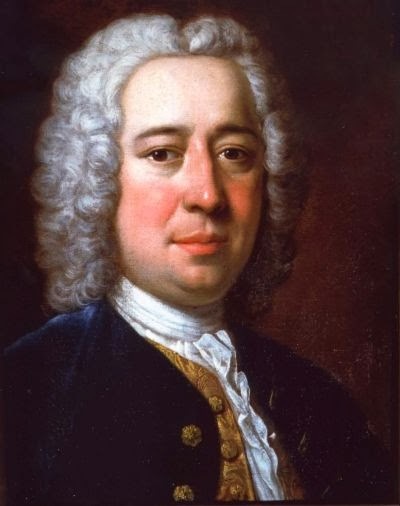 In 1725 Porpora moved to Venice where he continued to compose and teach and just four years later, he settled in London where he was instrumental in establishing a new opera company, the Opera of the Nobility. The company was intended to rival Handel's successes and once again employed Farinelli as a lead yet their productions failed to set audience pulses racing and the effort ended in bankruptcy. In the years that followed Porpora enjoyed several high profile roles at European courts and even employed the young Joseph Haydn as an accompanist, travelling the continent with him to continue his work as a tutor. However, his compositions were no longer as fashionable as once they were and as his popularity waned so too did his finances began to suffer and by the time Porpora died, he was so poor that he left no money to meet his own funeral costs. The musicians of Naples now arranged one final performance and performed a concert at the church of Ecce Homo, to pay for the composer's burial at the same church. What is it about all these great musicians from this time! It's not that different now but so many from this era seem to die destitute. Even Mozart is tipped in a pauper's grave somewhere. Such an illustrious and creative career! That's a common misunderstanding about Mozart; he was buried in a common grave, which isn't actually a pauper's grave. A common grave was an individual plot that the city might reuse after a decade and was pretty standard for the time and place; only the most noble were allowed the honour of claiming a grave that wouldn't be reused when space got tight! They still reuse graves in France not unless you pay for them to be kept longer. My French grandmother is buried in France and my mom was told her grave may of been reused. After a while, they remove the bones and use the space for someone else. Thank you for clarifying that. I often have to do the same for my students. That's one of those myths that persist.